Because chatbots are a great way to bring characters to life, they’re a natural fit for designing compelling experiences for children. 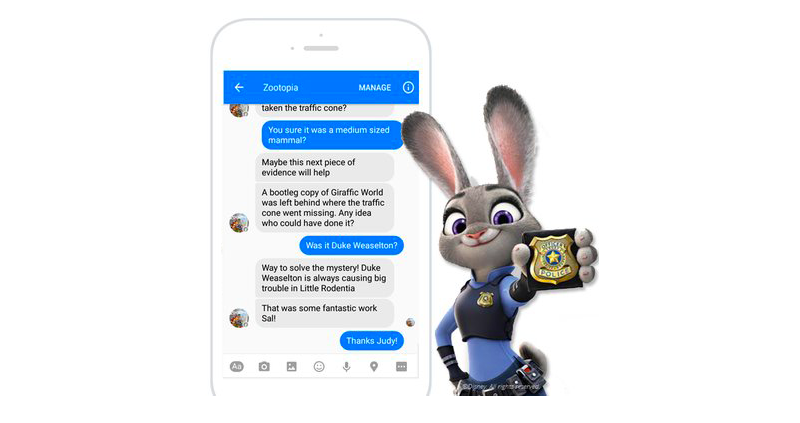 With a chatbot, kids can converse with their favorite characters or brand mascots. They can also discover entirely new characters within a bot directory. 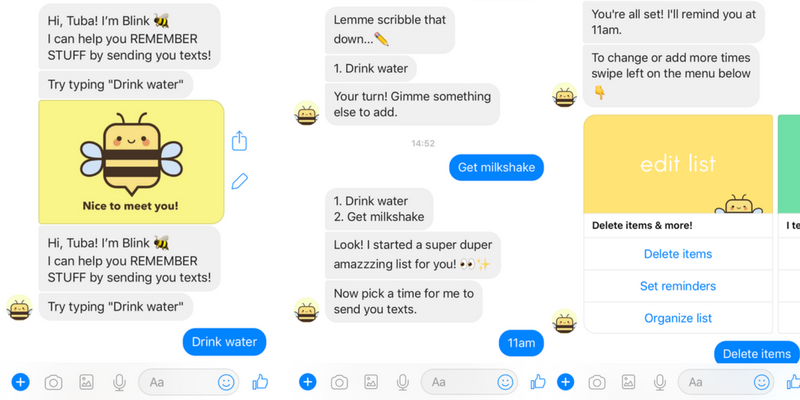 But designing a chatbot UX for children has its own unique set of challenges—you’ve got to account for reading level, emotional investment, and child safety. We at Botanalytics, an AI-powered conversational analytics tool for chatbots, examined 250+ chatbots designed for children and came up with the best practices for creating bots for a child audience. Let’s get right into how you can avoid the common pitfalls and design a successful chatbot UX for kids. Because your chatbot is targeting a child audience, it’s essential that your bot is lifelike and believable in all aspects. This means that besides creating compelling language, it should have an inviting name and visually engaging avatar that matches its personality, like Miao the friendly cat. As far as language and dialogue are concerned, be sure to use simple language that children of all ages can understand. Brevity is doubly important when speaking to children who may have more difficulty reading, or a short attention span. Keep responses succinct and use visual language—GIFs, emojis, and images—where possible. 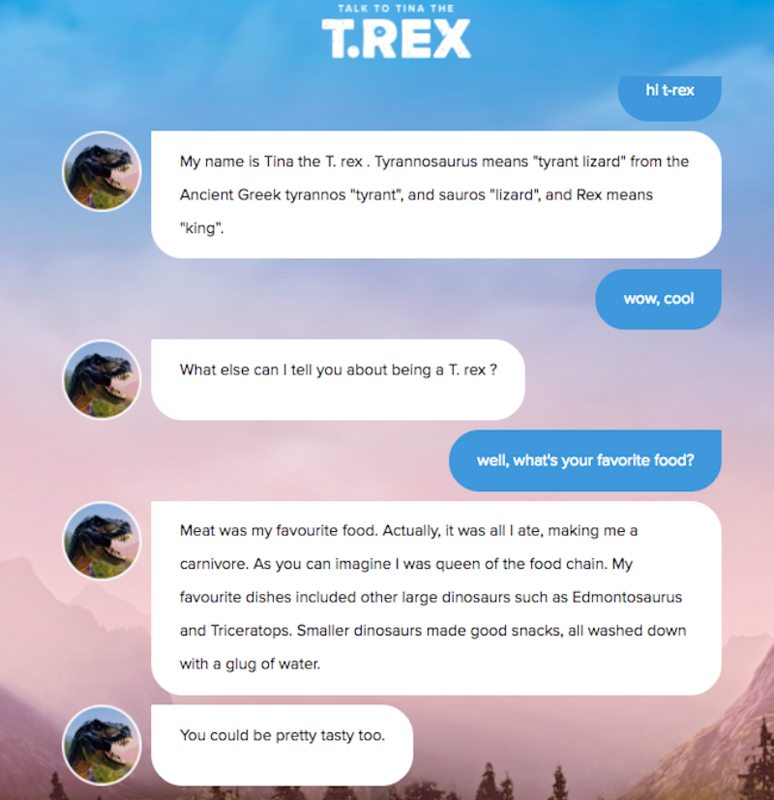 If you’d like an example of a great children’s chatbot character with a strong personality, have a chat with Tina the T. Rex. Developed by Rehab for National Geographic Kids, this chatty apex predator teaches kids facts about the T. rex with a sense of humor. Ask her about her diet and she might suggest how delicious you’d taste. Keep the conversation on track by providing your audience with suggested responses, because kids can get frustrated if the experience gets confusing or returns errors. By sticking to a closely guided experience, you’ll keep the conversation flowing without requiring much effort from the user. If you do want the user to have full freedom in their response, you could still opt to provide (optional) response buttons. It’s also worth noting that children might try saying naughty or abusive commands to a chatbot out of maliciousness or curiosity. By exercising control over the forks in conversation paths, you can do without this issue. So, who accomplishes this better than anyone else? Disney’s iconic Mickey Mouse guides children though a wacky adventure in the Mickey Mouse Adventure voice app. Here’s how it works: Mickey immediately establishes a problem (how will he make it to his magic show on time?) then provides children with choices they can make to continue the narrative. It’s a bit like talking to your friend on the phone, and there’s never a moment of confusion about how he expects you to answer. 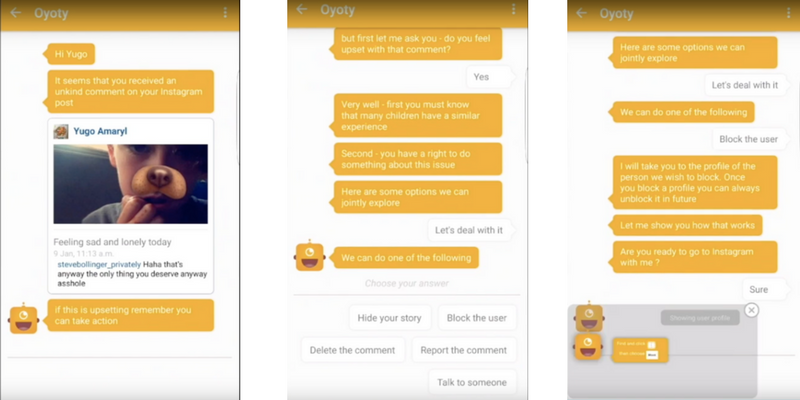 Another example is Oyoty, a personal safety assistant designed to makes sure that your kid is safe while surfing online. Children may be more sensitive to how they perceive your chatbot responds to them. In some cases, younger audiences might pretend to believe the character is real. In this situation, it’s even more important that your bot respects the user. Ensure your bot sticks to a warm tone of voice at all times. If a bot is scripted to become upset at what the user says, try to keep the situation playful or allow for the conflict to be resolved quickly. Another tip—and this is the big one—is that the chatbot should remember the user. Imagine you’re a child eager to carry on a conversation with your favorite mascot or TV character, only to discover that it has no memory of past conversations. This would be disappointing to anyone, but it’s especially problematic for children who might be more emotionally invested in a character than an adult would be. Blink Bot makes this possible by collecting the things that the kid wants to remember and sends notifications when the time comes, calling kids with their names. It’s no secret that chatbots collect and make use of vast amounts of data to provide a personalized experience. You don’t want parents to worry about the information your bot collects from their children. So consider adding a disclaimer to your website that details what information is used and how. In your onboarding experience, you might even suggest that children talk to the chatbot with their parents. Finally, be clear about any sponsored content or advertising that might be present in the conversation. If the chatbot redirects the user to a website outside of the brand ecosystem, let them know ahead of time. 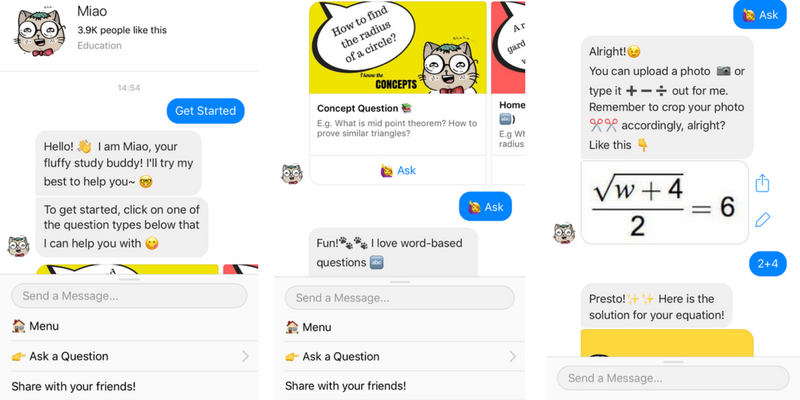 Have you designed a chatbot for kids? What were your guiding principles? Tell us on Twitter: @InVisionApp. Header image by Annie Spratt. Ilker is the CEO and co-founder of Botanalytics, conversational analytics & engagement tool for chatbots based in San Francisco. He is a regular speaker about conversational analytics and UI, chatbots, and early-stage fundraising.